The anti-talk faction of the National Democratic Front of Boroland (NDFB-S), which has reportedly suffered from cadre crisis following frequent arrests and killing of its cadres during encounters with security personnel, is now desperate to recruit even minors for arms training. This came to light after police picked up three minors and arrested three other boys from the Kokrajhar Railway Station, who were on the way to Myanmar-based NDFB-S camp for arms training. 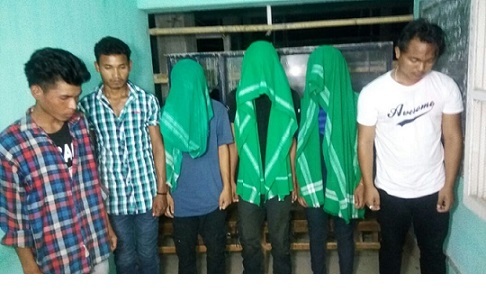 The arrested boys have been identified as 24-year-old Taika Narzary of Ronwgwr under Kokrajhar Police Station, 22-year-old Genendra Narzary of West Batabari, Dotma and 19-year-old Swarangsar Basumatary of Dangakhuti in Dotma area in Kokrajhar. All the minors also hail from Kokrajhar district.